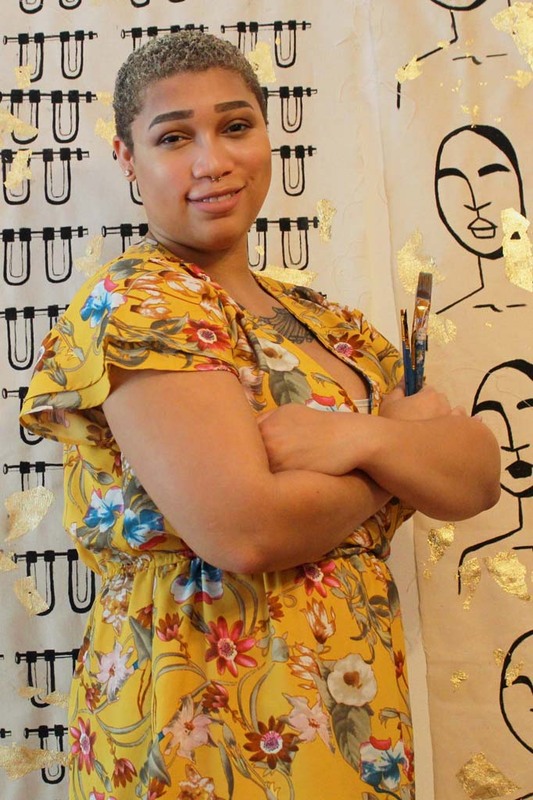 Charlena M. Wynn is an artist, graduate student, and scholar from the Southern United States, interested in African Diaspora art and Afrofuturism as a method of decolonizing modernist curatorial and art education practices. Born and raised in North Carolina, they are deeply connected to their southern identity as a Black queer artist and use these experiences in their artwork. In a world where Black, queer, fat, and disabled bodies are not valued, Charlena M. Wynn is informed by Afrofuturist philosophy, not only as a cultural aesthetic but philosophy of history informed by African Diasporic epistemologies. After studying Afrofuturism as a literary practice, they became interested in the ways that Afrofuturism or what is considered today as the Black Speculative Arts Movement could be used as a way for dismantling white supremacy and envisioning futures for all bodies.